As the day broke on this stormy autumn morning the sun briefly found an opening in the clouds, bathing Mount Meeker in a deep red glow while the little chapel of Saint Catherine stood peacefully in the marshy meadow below. 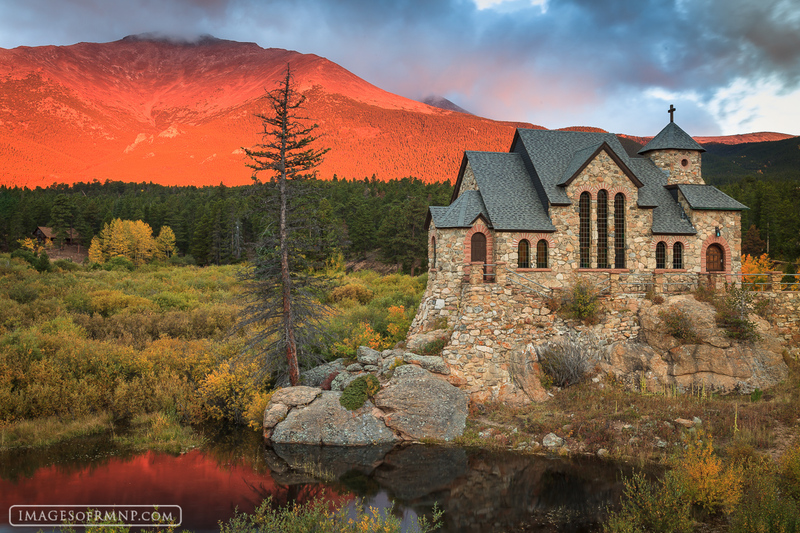 This beautiful chapel is part of the Saint Malo Retreat Center on the eastern edge of Rocky Mountain National Park and is certainly one of the most beautiful scenes in Colorado. Photo © copyright by Erik Stensland.